The Cuan Mhuire story begins with Sr. Consilio's (then Eileen Fitzgerald) early experience of ‘family; growing up on a farm near the Cork/Kerry border. Here, she experienced and internalised the unconditional love of her parents and the innate goodness that is at the heart of every individual. On completion of her second-level education at the Convent of Mercy, Abbeyfeale, she trained as a nurse at the North Infirmary, Cork. On completion of her training she joined the Sisters of Mercy, Athy, Co. Kildare. She later did her Midwifery training at St. Finbarr’s Hospital, Cork. As a young nun she worked as a Nurse in St. vincent’s Hospital, Athy which was then a ‘County Home’. Here she came in contact with the ‘men of the road’ who came for a nights lodgings. She was greatly moved by the struggles of these men who went from county home to county home. She came to realise that many were homeless because of their addiction to alcohol. Cuan Mhuire’s distinctive and experientially- based programme is among the great innovations in the treatment of addictions. It is based on the belief that each Human Being is of eternal value, is capable of wholeness in human and spiritual terms, that there are no hopeless cases. It recognises the innate goodness and giftedness of all who come through it’s doors. Cuan Mhuire started in 1966 in a room in the Convent of Mercy, Athy. Later it had the use of the ‘Old Dairy’. Soon, however, these facilities could not accommodate the number of people seeking help. In 1972, the first purpose built Cuan Mhuire was developed by Sr. Consilio and the men she had helped. It was located on a 50 acre farm near the town of Athy. In 1992, this campus was greatly extended with the practical help and support of her brother, John Fitzgerald. It was through John’s exceptional talents, his quiet unconditional generosity and leadership that the many Cuan Mhuire centres were built across the country. 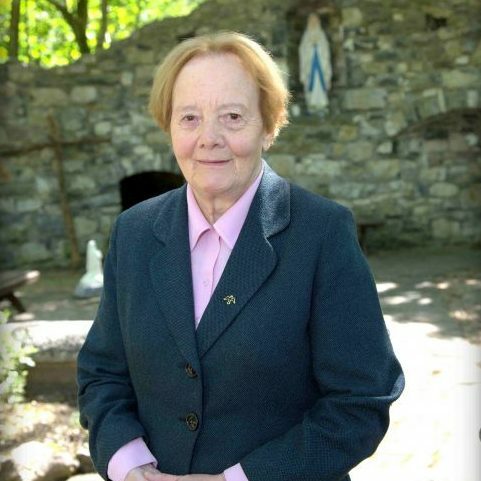 In 1977, Sr. Consilio developed a second Cuan Mhuire centre – this time in Bruree, Co. Limerick. In 1984, Cuan Mhuire established a centre in Newry in a then strife – torn Northern Ireland. From its earliest beginnings Sr. Consilio had treasured the support of people of all faiths and political traditions from Northern Ireland. In 1994, the fourth Cuan Mhuire treatment centre was established, this time in Coolarne, Co. Galway. Here detoxification and treatment is provided for those suffering from alcohol addiction and gambling. In August 2006 the first Cork based Cuan Mhuire treatment Centre was set up. It caters for detoxification and treatment. It is a female only facility and has accommodation for 40 ladies. It offers a twelve week programme for alcohol and a twenty week programme for substance misuse. This centre came into being because Sr.Consilio, was aware the unique difficulties that some women experience in recovering from addiction, and she saw the need for a specialised service. A nationwide network to support people in Recovery from addiction. Currently has centres in many towns in Ireland. It is Sr. Consilio’s hope that one day soon there will be a ‘Friends of Cuan Mhuire’ centre in every town Ireland. The mission in these centres will be the same as Cuan Mhuire – a place where people can find a sense of belonging, family, friendship, support and peace.